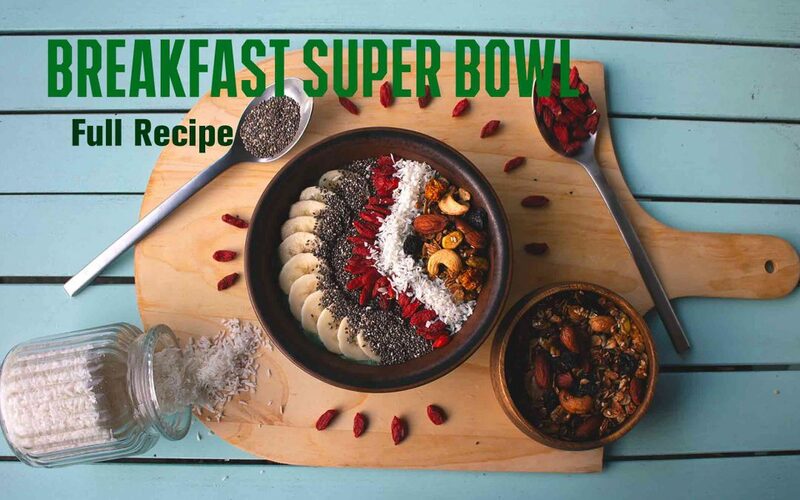 This Breakfast SUPER Bowl is a super green smoothie bowl with great toppings, perfect to get a complete breakfast before starting your day. 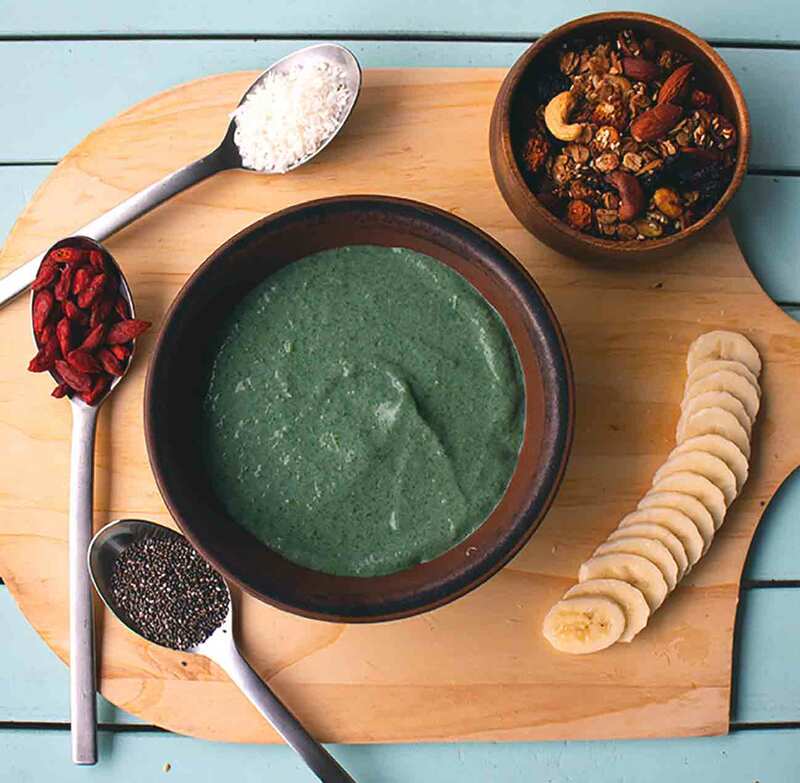 The goal of this recipe is to accumulate some super food inside the bowl to make it very healthy and yummy. 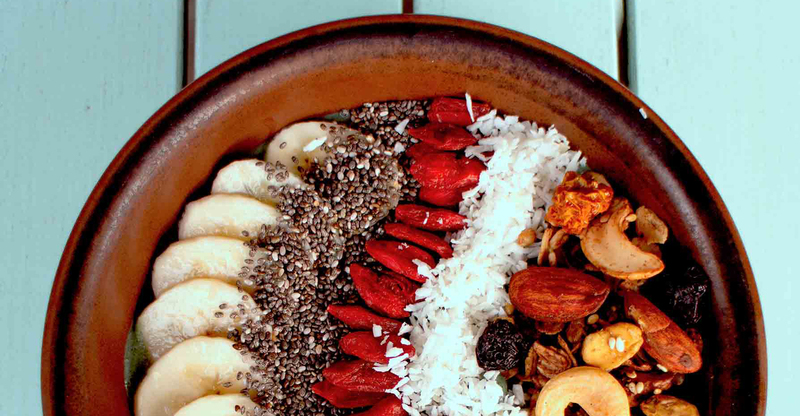 Therefore, this breakfast bowl is a booster and the recipe is easy to realize, improve or to make your own. Eat your breakfast bowl right away, it is not recommended to leave it too long in the fridge. Because of the avocado and the lime juice, the taste will be altered.This recipe is easy to improve or arrange with your own taste! 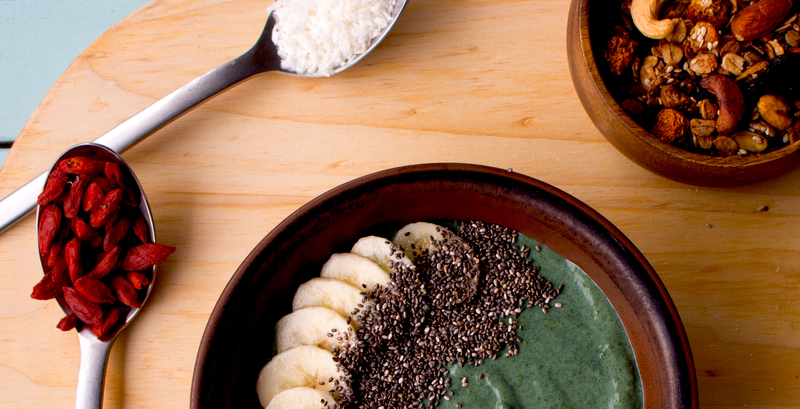 If you want a deep green color like this one, don’t forget to add some green ingredients OTHER than just spirulina. 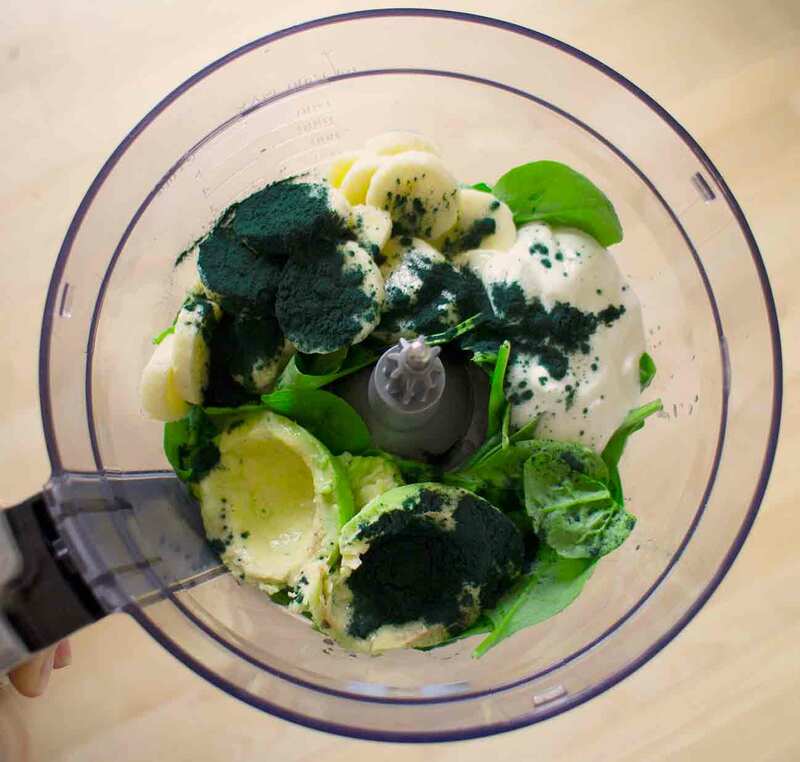 Even though it is a powerful food coloring, the dark green color is made by adding greenies to the spirulina smoothie. Usually spinach is perfect for that and doesn’t taste at all when it is mixed with other things. 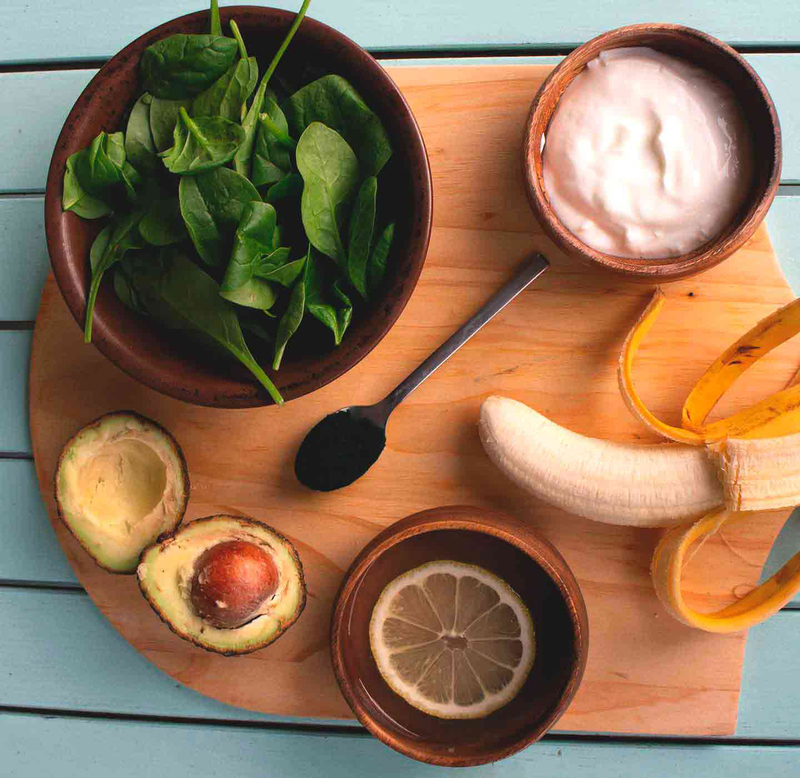 The concept of a breakfast bowl is to make an energy smoothie and add superfood toppings so that the bowl looks full of color and joy! 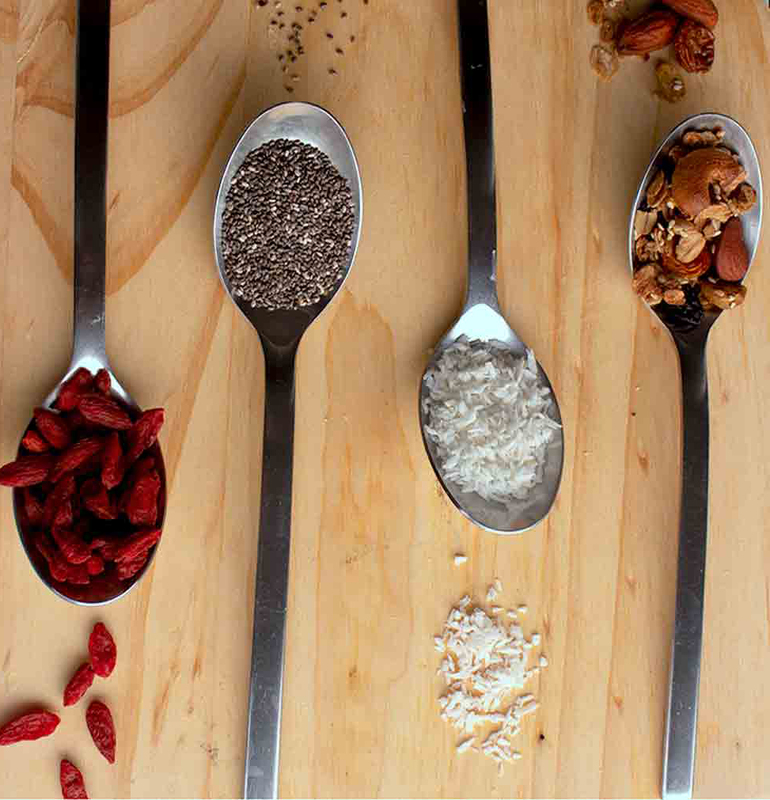 Be creative when adding toppings, and search for inspiration to realize the perfect one! Learn more about the great benefits of Spirulina and Berries by following the links below the article.